This is my favorite (yes favorite, not one of other favorites) bib of all time. After trying a bunch, this is what I've figured: I'm not a fan of muslin whether it's cotton or bamboo. It just doesn't hold up in the wash. If it has a velcro, I run away, unless I want my expensive swaddle blankets to be ruined because I forgot to attach the velcro before doing the laundry. 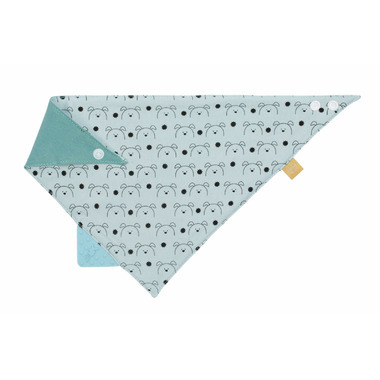 I really like the cheeky chomperz too, very well-made and soft and still looks new (no fading) after months of use, but it doesn't have the polyurethane coating that the Lassig has which is KEY if your baby drools like mine and soaks thru bibs. 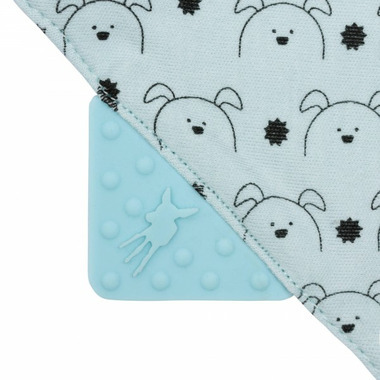 One con for me is the price (bought if for $15 on sale), but I won't knock one star because the other good bibs are just as expensive if not more.